Where is the truck today? 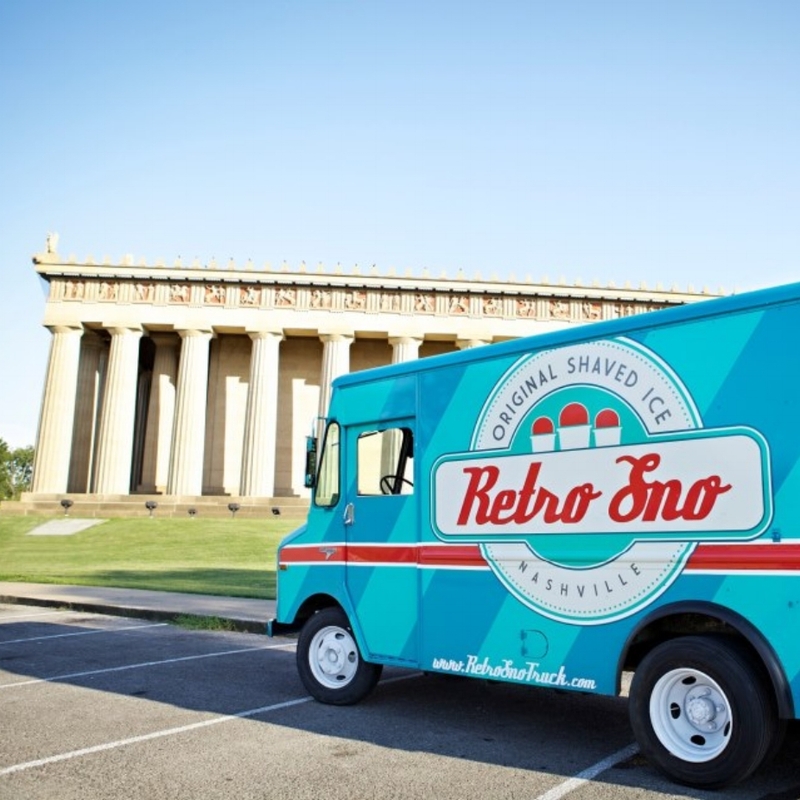 Bring the #RETROSNO experience to your next event! Simply click below to fill out a request form and a Retro Sno team member will follow up within 1-3 business days. We mix all our syrups by hand using premium pure cane sugar and NO high fructose corn syrup. Then we use (triple) filtered water to make ice blocks. Next, the ice is shaved, rather than crushed, resulting in light, fluffy snow that melts in your mouth! Finally, we get creative. 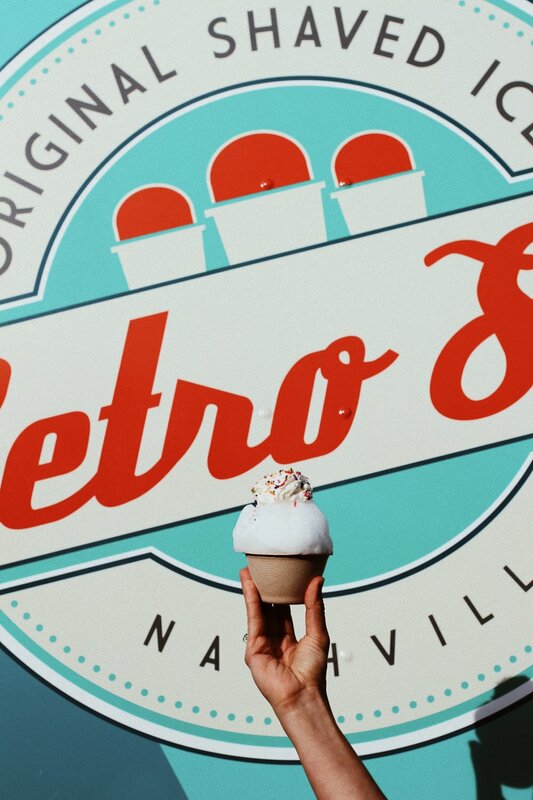 Dreaming up new flavor combinations and adding fresh, delicious toppings is what makes us Retro Sno & Nashville's Original Shaved Ice Truck! We love collaborating and would love to hear from you! If you would like to request Retro Sno at an event, please click here to fill out an event request form. For all other comments or questions, use the form below and we will get back to you as soon as we can!